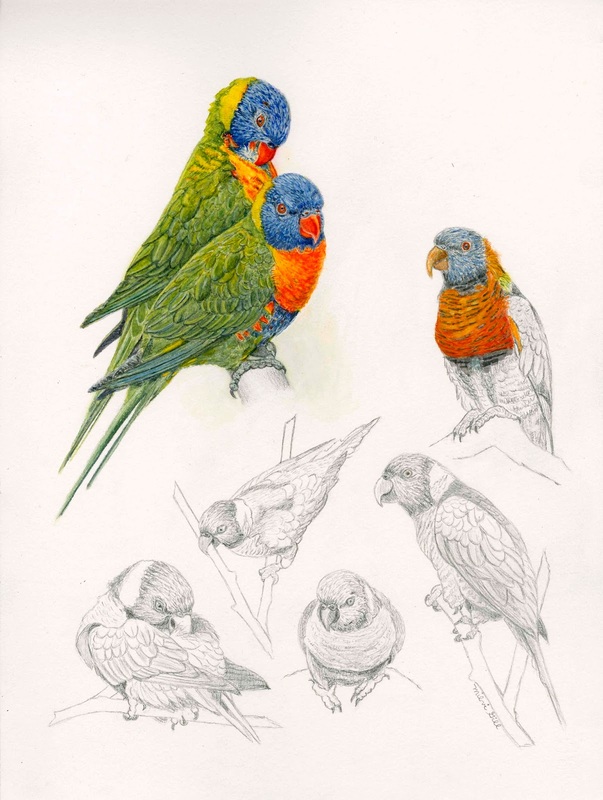 Today we had the final session in our series Drawing on Tradition: Superb Natural Detail of Keith Brockies’ Birds and Nature Illustration. Brockies’ freshness and vitality was the inspiration for this workshop which mainly focused on birds. 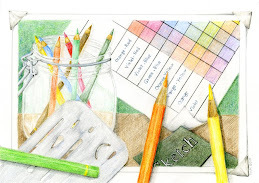 As illustrators we are aware of the importance and utility of sketchbooks in the creative documentation process. 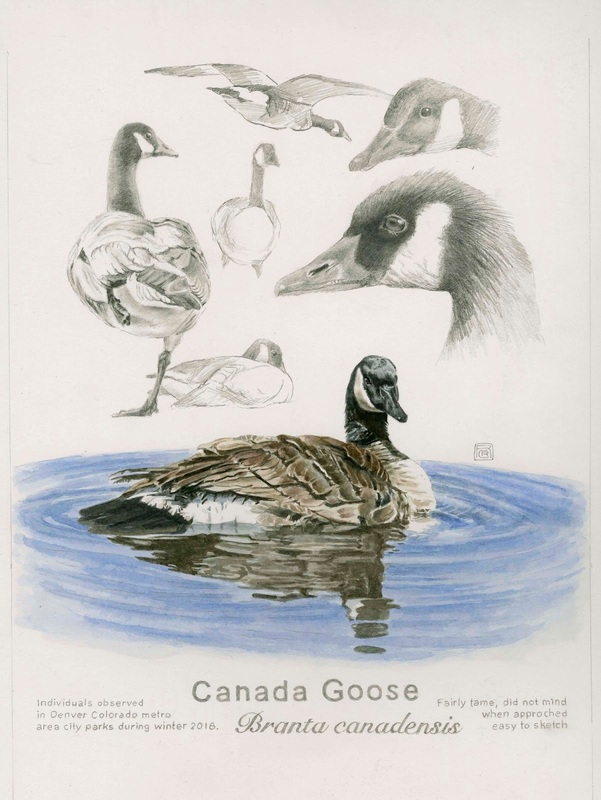 The artists use sketchbooks to solve problems both in documentation process and composition. 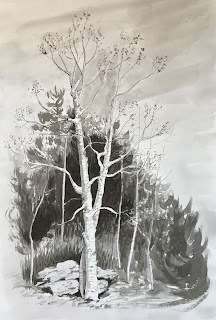 Simultaneously they are making the private public, informing others of the analytical, thoughtful and imaginative process that they generate in sketchbooks and how they use sketchbooks as a research tool. Please click here to see more few more competed and in progress work from this 6-week workshop (2 sketching sessions in the Zoo and 4 sessions in the classroom). 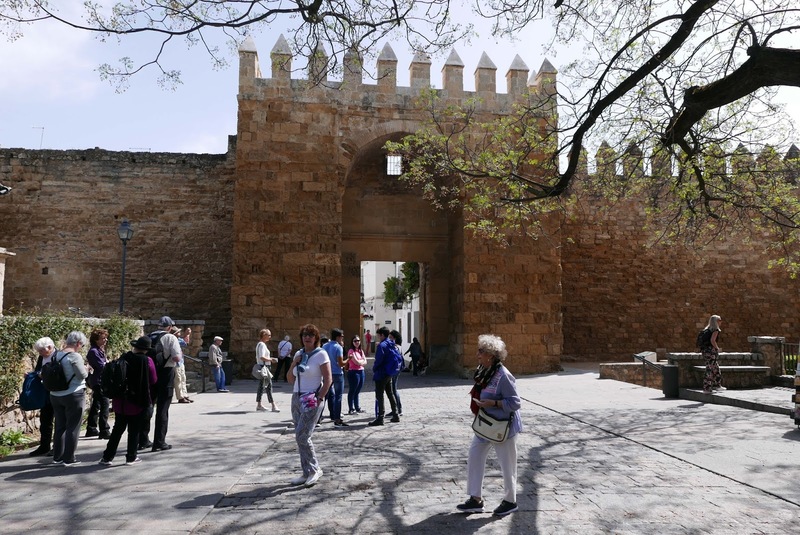 After arriving to Cordoba (3 hours bus ride from Granada) we started with a walking tour through Cordoba's old Jewish quarter which consists of a fascinating network of narrow streets inside the old Cordoba city wall, built after the Romans captured the city in 206 BC. 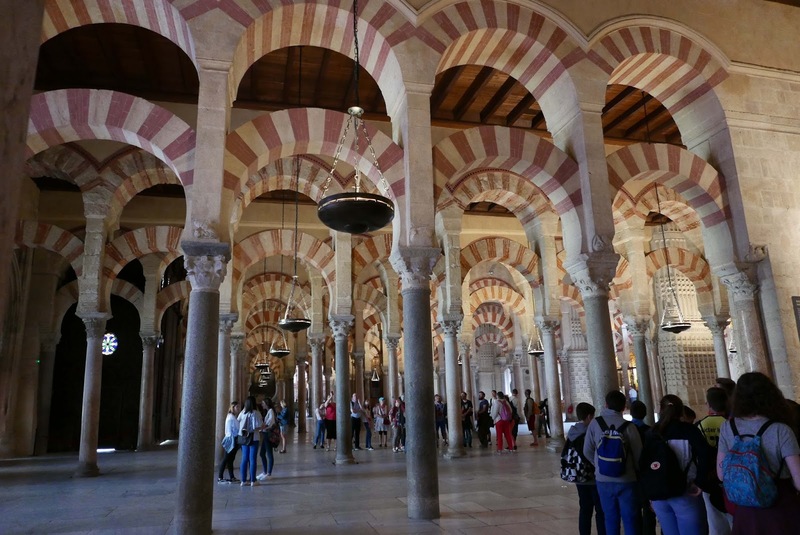 Cordoba's period of greatest glory began in the 8th century after the Moorish conquest, when some 300 mosques and innumerable palaces and public buildings were built to rival the splendors of Constantinople, Damascus, and Baghdad. 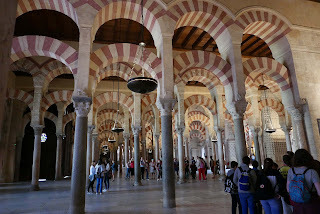 In the 13th century, Under Ferdinand III the Saint, the Great Mosque was turned into a cathedral. 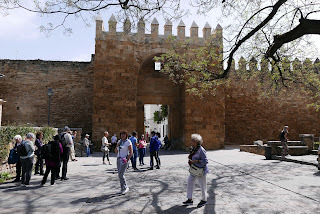 New defensive structures were erected at that time, particularly the Alcázar de los Reyes Cristianos and the Torre Fortaleza de la Calahorra. 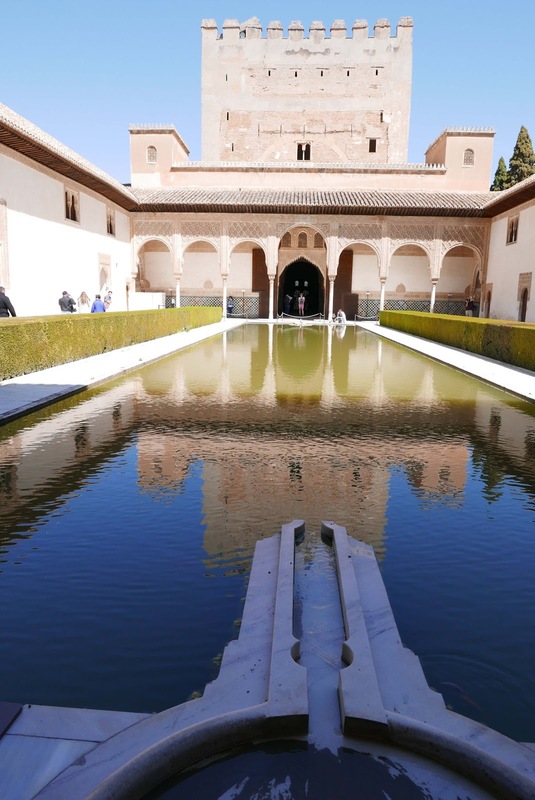 The Great Mosque of Cordoba was included on the World Heritage List in 1984 and the property was extended in 1994 to include part of the Historic Centre, the Alcázar (the fortress), and extending south to the banks of the River Guadalquivir, the Roman Bridge, and the Calahorra Tower. The total area of the heritage site encompasses 80.28 ha (almost 200 acres). We arrived to the Cartuja Monastery prior of the opening hour. 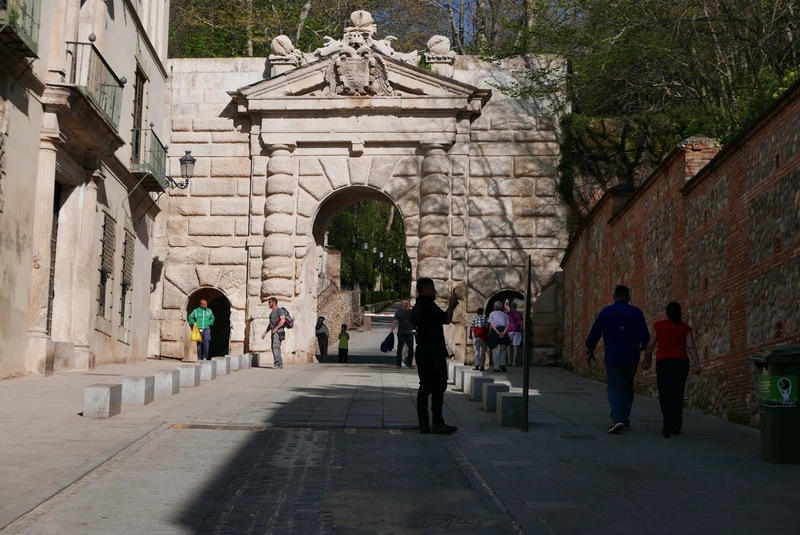 Our very knowledgeable guide, Juan (with good humor) was already waiting for us and started to inform us about the complicated history of the place. 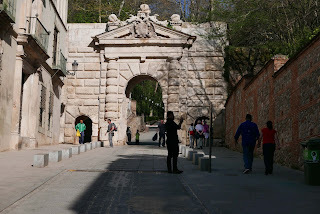 Cartuja was founded in 1506; construction started ten years later, and continued for the following 300 years. 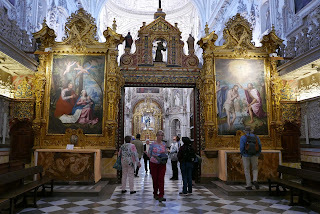 The interior of the monastery was certainly spectacular. 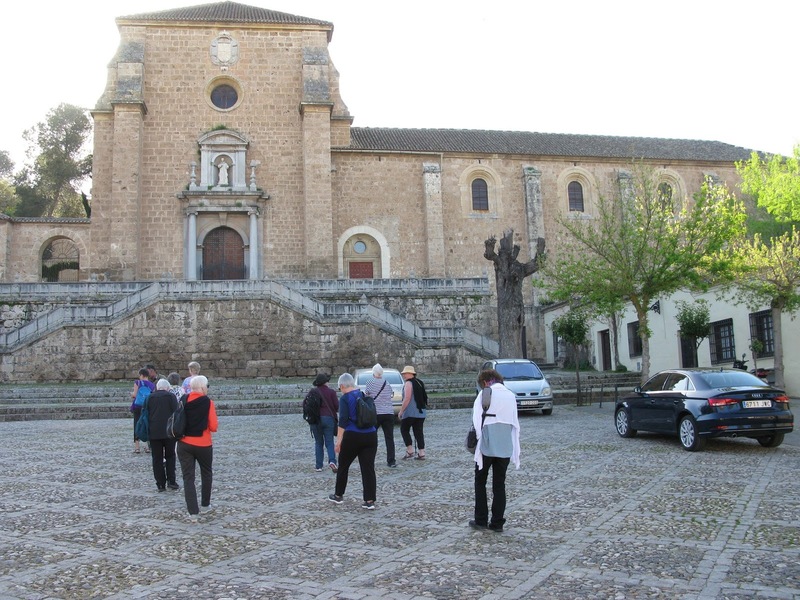 After the Cartuja we also had a very pleasant and informative 3-kilometer walk through the Albayzin district. I will blog about this more in detail later. In the afternoon was spent in the University of Granada Herbarium with Carmen Quesad Ochoa as a warm host. 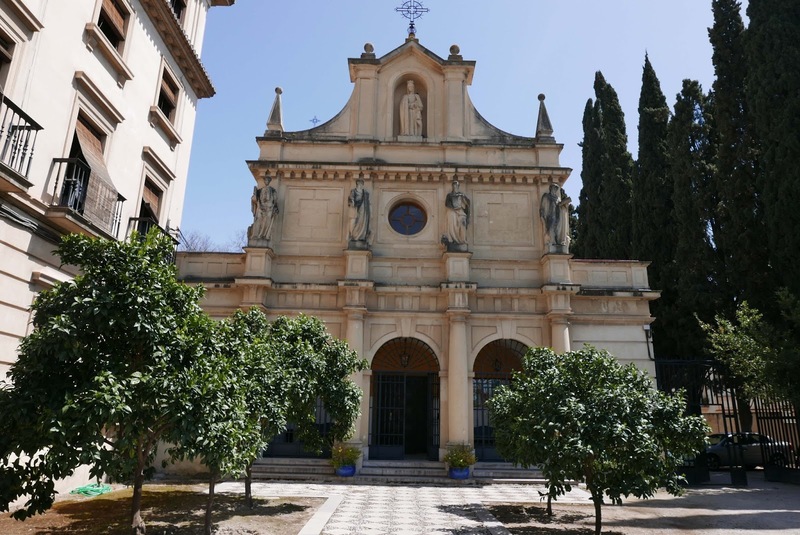 The herbarium of the University of Granada (GDA) hosts the collections from the Department of Botany of the Faculties of Sciences and Pharmacy, of this university. 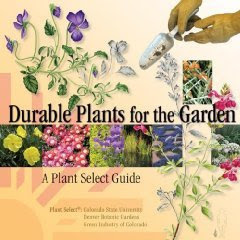 Its origin was linked to the pharmaceutical studies and goes back to the constitution of the first Chair of Botany, founded in 1853 by Professor D. Mariano del Amo and Mora, first dean of the Faculty of Pharmacy. 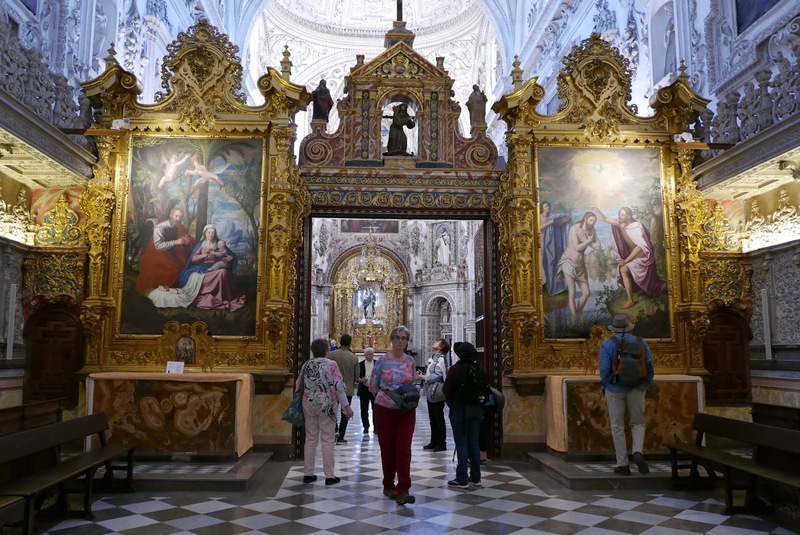 In May 2000 was inaugurated the Herbarium was relocated in May 2000 in the old chapel of the Colegio Mayor Isabel the Catholic. After the transfer, to its current location, the herbarium constitutes a unique center that manages both collections. Carmen Quesad Ochoa, curator and the head of the Herbarium was showing us the historic myclogical collection with microscopic spore slides. 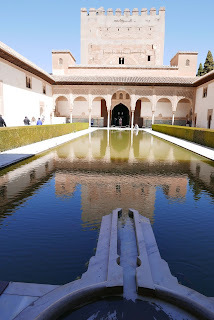 During the 3-hour very professional tour of Alhambra and Generalife we learned so much of Spanish history and took so many pictures that it is impossible to summarize that in a same-day post - I will post more about Alhambra later. In the late afternoon we had a strenuous but fantastic walking tour trough the Albayzin and Sacromonte - more detailed post about that will also follow later. 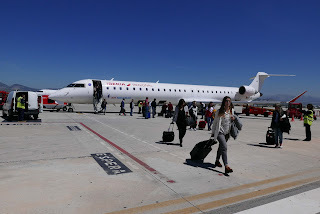 Granada Airport - Blue skies and Sun! 28C! We started very early this morning to catch the 4:40 a.m. train to Schiphool airport and our flight to Spain. After changing the plane in Madrid we reach our destination in the mid afternoon. The Sierra Nevada Mountains are snow covered but in Granada we have 28C and blue skies! 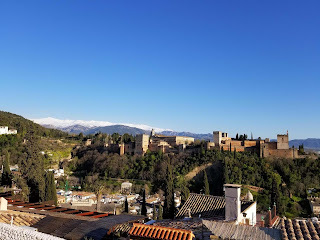 Alhambra and Albaicin are waiting for us tomorrow -. 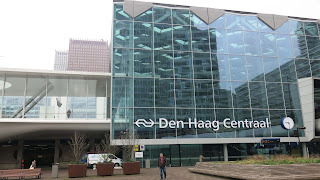 This was our last day in the Netherlands and we took a 2-hour train ride to the east to the Wagenigen University and Research. 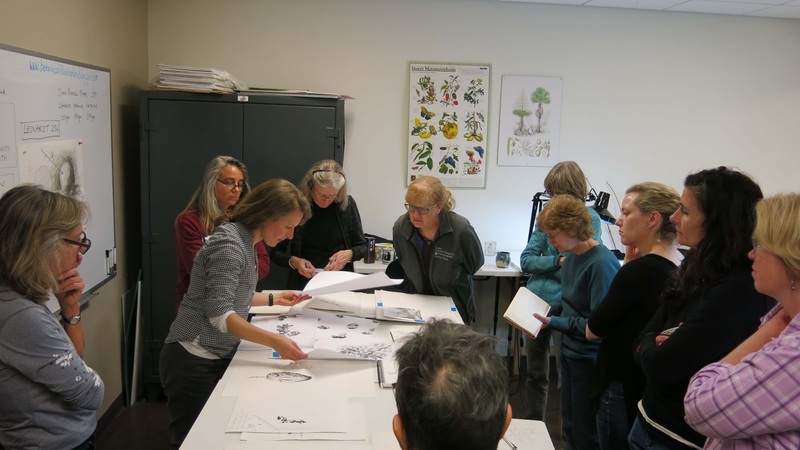 We had a wonderful day with Dr. Lisbeth Missel who was informing us about the relationship between Rumphius and Maria Sibylla Merian. 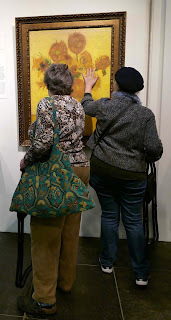 We saw several unpublished manuscripts and also several works by unknown artists. This was again a clear justification for how much more research needs to be done on the history of science to identify the unknowns in the documentation history. The most expensive tulip! 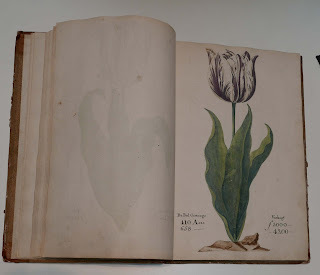 The tulip selection from 1637 - the plates were from that time, however the book was but assembled in the 19th century. 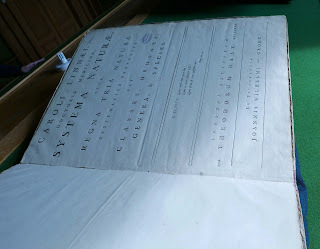 Most likely the paper was cut smaller to fit better in the more practical book size. 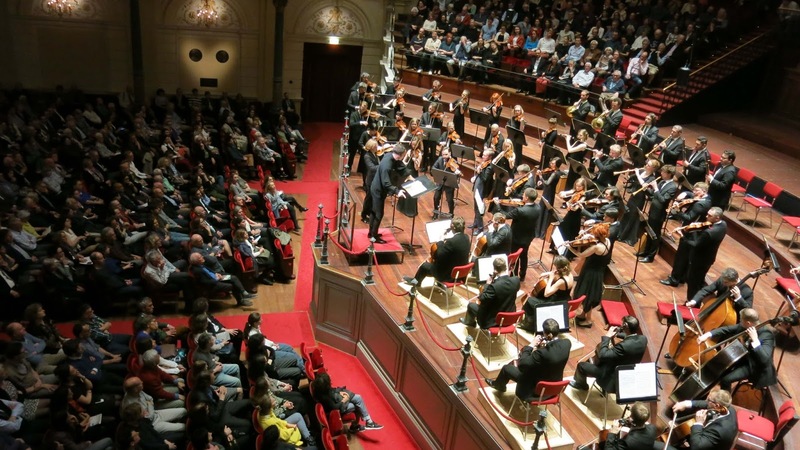 This Sunday was devoted for Delft, the true birthplace of microbiology, center of technological research and development, and the birth place of Vermeer and Leeuwenhoek. Delft played an influential roll in the Dutch Golden age and once seat of the royal House of Orange. We first visited the Royal Blue Delft factory, which is the only remaining factory of the 32 earthenware factories that were established in Delft in the 17th century. 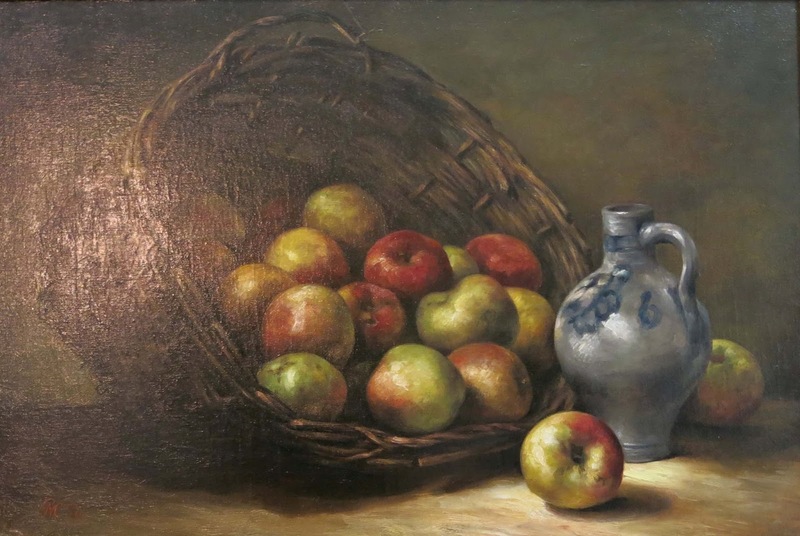 The factory was founded in 1653 and the original blue decorations are fully painted by hand with a color mixture made to a centuries old recipe, which is mostly cobalt oxide. The factory also manufactures products which are handmade but the decorations are screen-painted by means of a transfer. We learned a lot about the production and history. 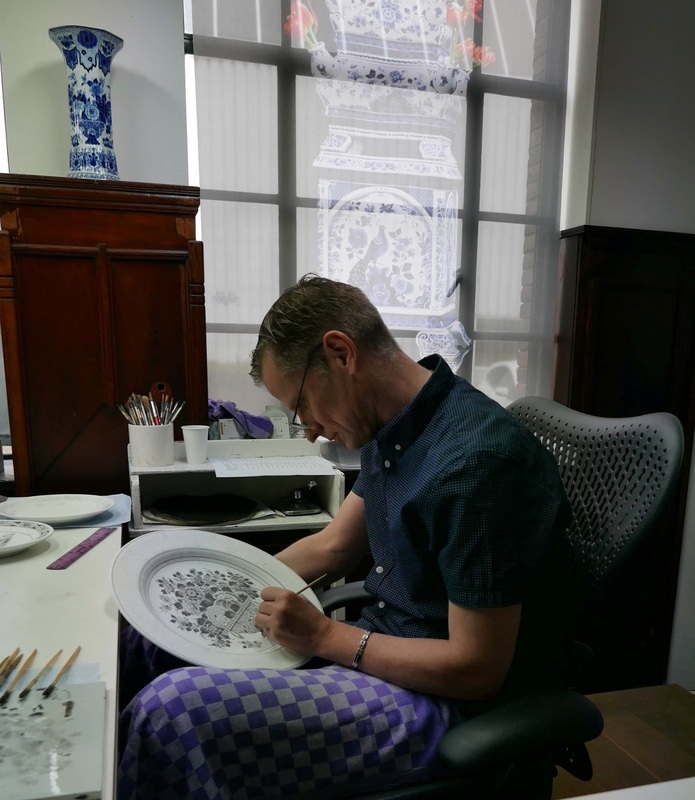 This is the 365th anniversary year of Royal Delft. In the afternoon we visited museum Prinsenhof Delft, once the court of William of Orange, the father of of the Dutch Nation. 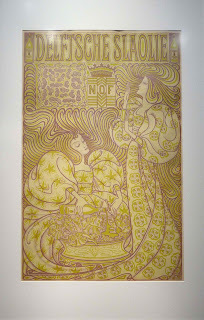 The museum hosted a temporary exhibit on Art Nouveau which translates to Art, Knowledge and Industry for Delft and the Netherlands. During this period (1890-1914) modern factories established and the Polytechnic School transferred the city into a center of technical and artistic innovation. 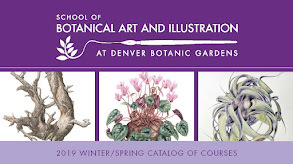 The Art Nouveau style was expressed in architecture, graphic design and applied art with decorations based on plant and animal motifs. 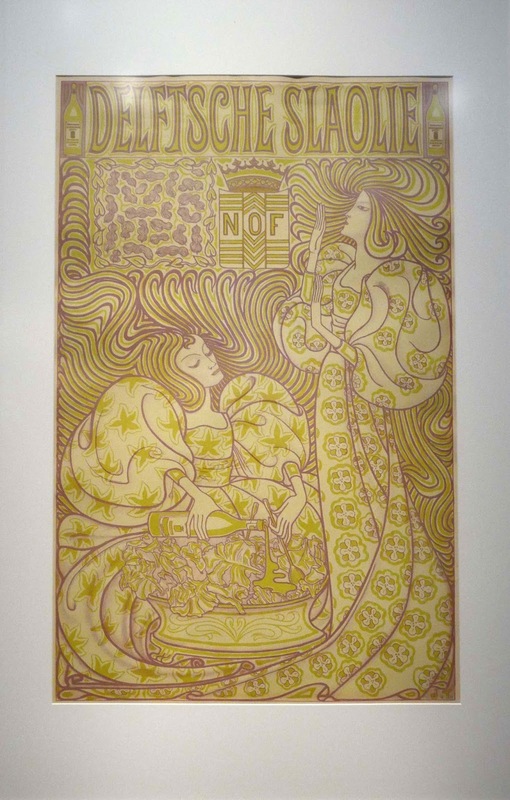 The Art Nouveau was followed by the Art Deco movement (1920-1939) characterized by geometric forms and rich color. Our guide Sophia filled us with a ton of information from this era. In the afternoon we were back in Leiden, continued with the Japanese theme and visited the Japanese Museum/Von Siebold House. Von Siebold (1796-1866) was a physician who was sent by the Dutch Government to Japan. 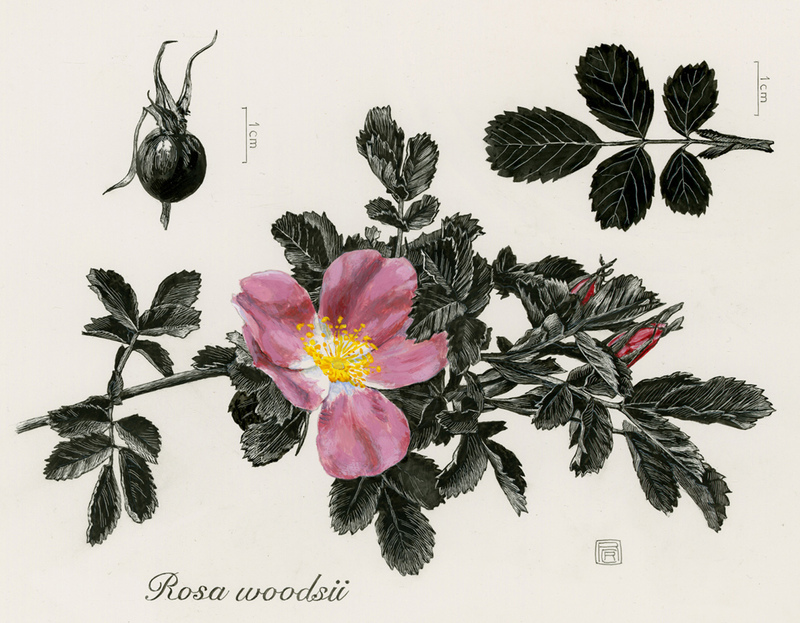 Siebold had a keen interest in the natural world and introduced a large number of Japanese plants and animals to Europe. He was known as the European expert par excellence on the subject of Japan for decades after. We had the pleasure to have the same excellent guide as we had in the Hortus Botanicus during our arrival day, Mrs. Carla Teune! Carl Linnaeus' Systema Naturae (1735), first edition, published during Linnaeus stay in the Netherlands introduces the three kingdoms: Plants, Animals and Minerals - also the 24 different plant groups based on the reproductive parts of the plant. Teylers Museum in Haarlem was opened to the public in 1784 and is the oldest museum in the Netherlands and the only 18th century authentic museum interior in the world. It was founded as a center for contemporary art and science. 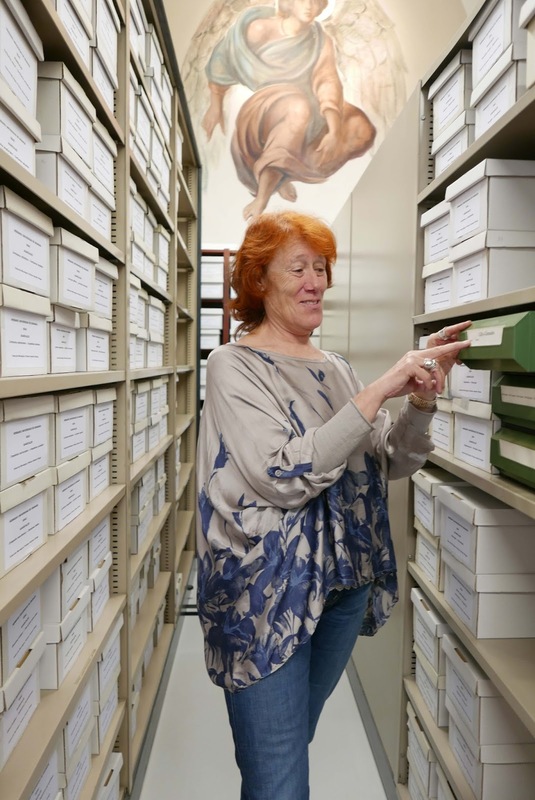 The holdings include fossils, scientific instruments, metals, coins and paintings. 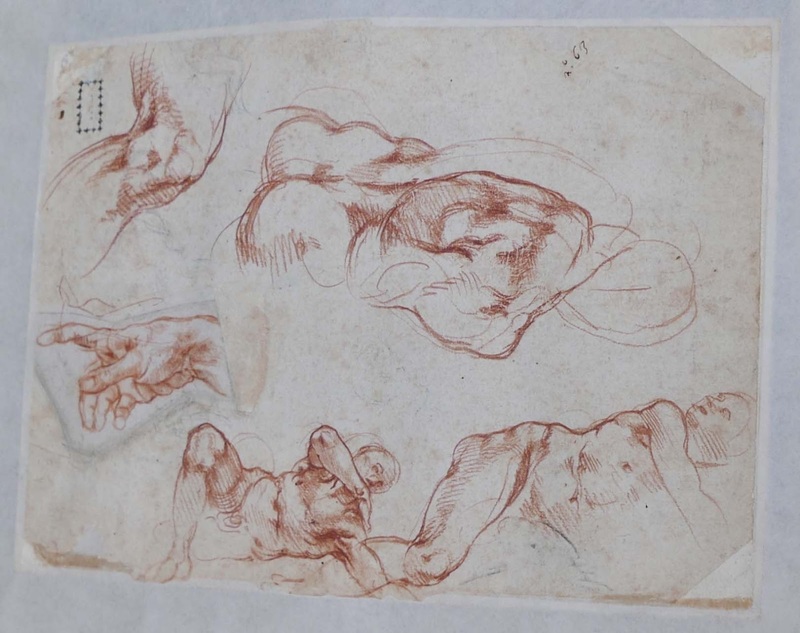 The archives include an amazing collection of drawings and sketches by Rembrandt, Michelangelo (25 drawings acquired in 1790 and part of the Odescalchi collection) and Hendrick Goltzius. 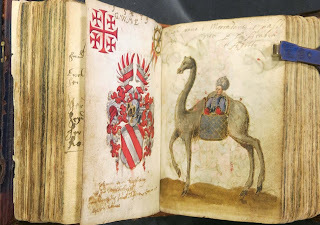 The museum's rare book collection is unique. 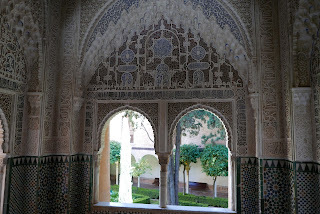 Our visit was exceptional and certainly one of a life time experience. 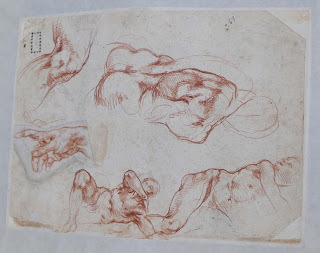 Michelangelo's preliminary studies for the ceiling of the Sistine Chapel, red chalk. Note "The Hand" on the left side. 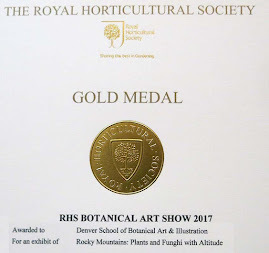 We were met this morning by Esmee Winkel, who is a scientific illustrator and botanical artist employed by the National Herbarium of the Netherlands (NHN) which is the Department of Botany of Naturalis Biodiversity Center. 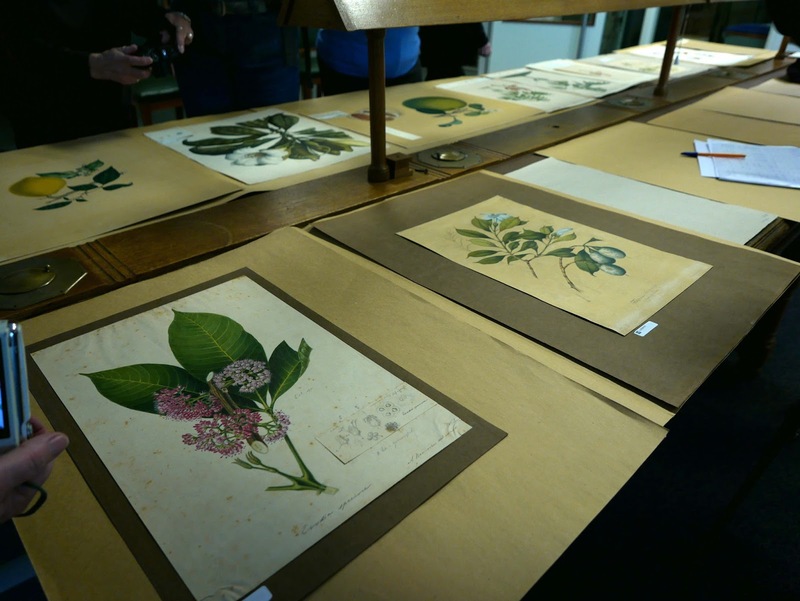 The botanical collections of Naturlis include the herbaria from Leiden, Utrecht and Wagenigen universities. 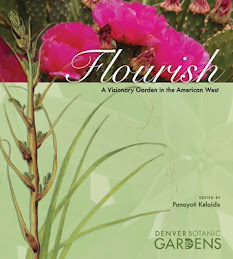 In addition to the Netherlads the material focuses on plants in Southeast Asia, tropical America, and tropical Africa. 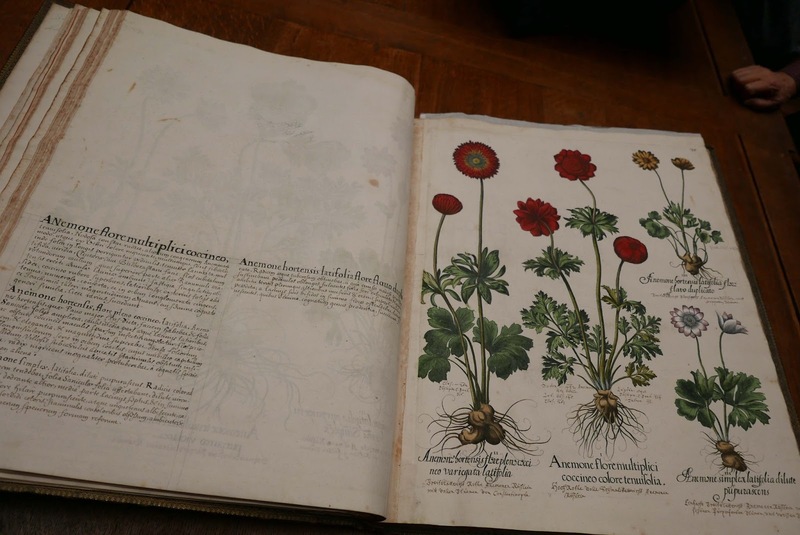 At the moment the Naturalis is under renovation and all the botanic material: botanical library, research, herbaria and the work space is situated some 20 minutes bus ride away from our hotel. 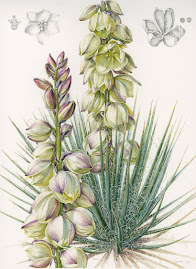 Eshmee introduced us a large selection of original botanical illustrations mainly connected to Flora Rumphia by C.L. 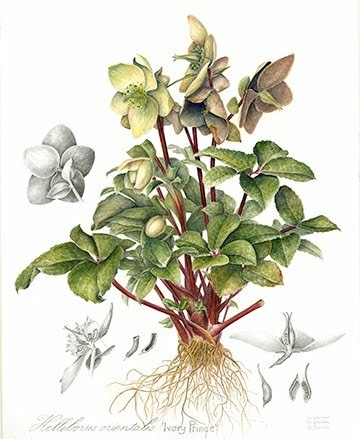 Blume (1796-1862), the first director of the Royal Dutch Herbarium. 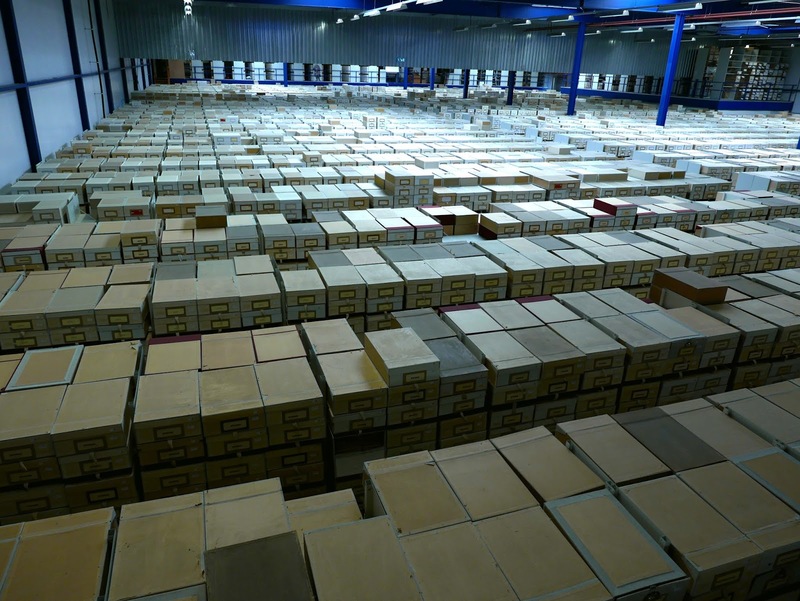 The National Herbarium includes some 5.7 million specimens. 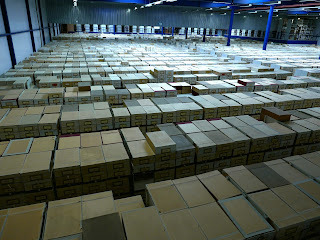 The herbarium is now in a temporary location, this is one of the storage halls! 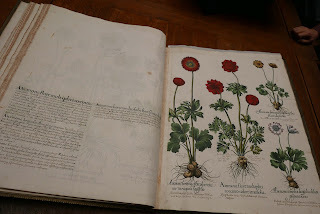 In the afternoon we visited the Rijksmuseum Boerhaave, Netherland's treasure chamber for medicine and science. Herman Boerhaave was one of the leading scientist of his time in Europe. 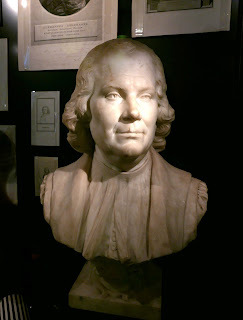 He was the director of Hortus Botanicus and also the rector of the University of Leiden. In addition to the replica of the Anatomic Theater of Leiden University from 1594 the museum houses (acc. 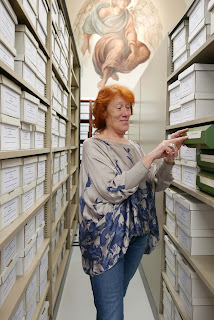 New York Times) one of the most important scientific and medical history collections of the world. Our 3-hour visit was way too short to see more than a fraction of the collection. Weather? Overcast, Drizzle, icy wind, sunshine for a fraction of a second. More images can bee seen by clicking here. 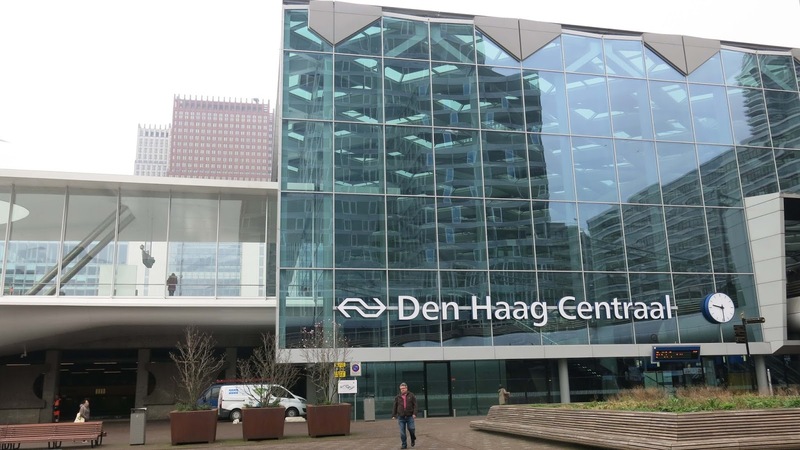 This morning we headed south to Den Haag, the third largest city in the Netherlands and the seat of the Dutch cabinet and Supreme court (Amsterdam is the capital constitutionally). 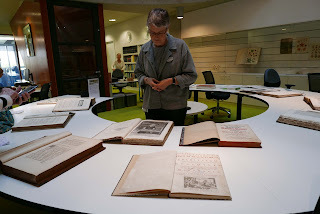 We visited the National Library of the Netherlands which have over 3.5 million items (equivalent to around 70 kilometers of bookshelves from medieval manuscripts to modern scientific publications. We met with Marieke van Delft, the curator of early printed editions and Karin Vingerhoets, the curator of children's books. After a very informative morning we rushed to our private tour at the huge Gemeentemuseum den Haag, place for the richest Piet Mondrian collection in the world. 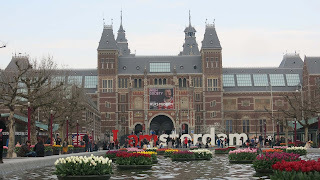 Our second day was very long and we spend most of it in the Rijks Museum. 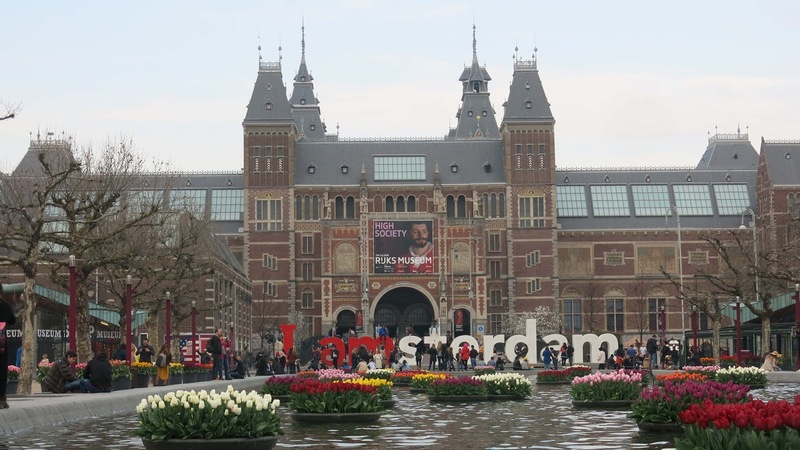 We first learned with the help of a guide about the highlights of this museum: selected works of Rembrandt, Vermeer and others. 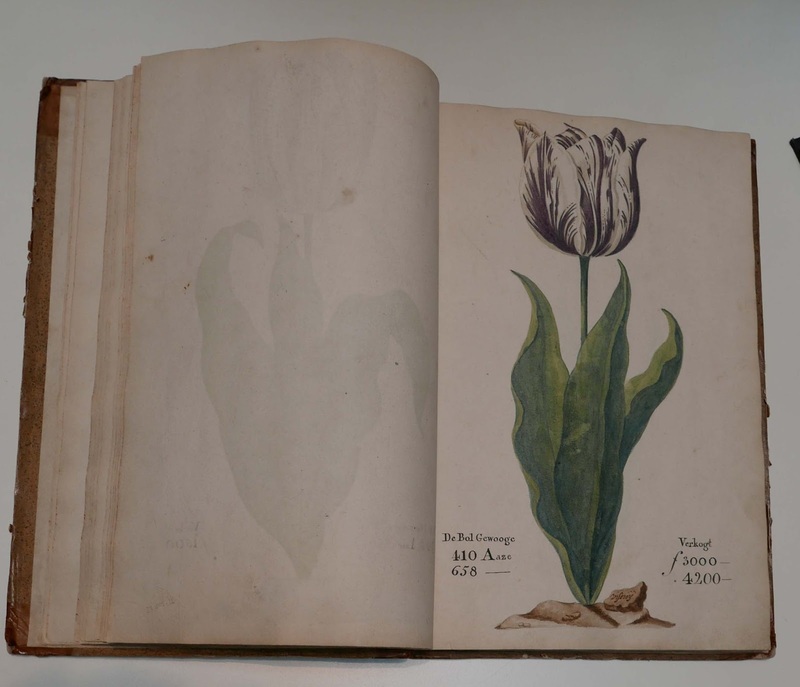 In the afternoon we were busy in the study room with works by Hoefangel, Merian, Jacob Marel (Tulip Book from 1640) and the absolute favorite: Gesina ter Borch. 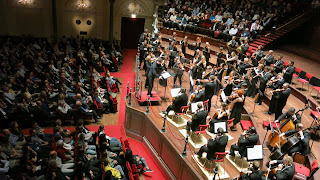 In the evening we enjoyed a Mozart/Beethoven concert with Teodor Currentzis as the conductor at the Concert Gebouw - absolutely fantastic! We returned back to the hotel in Leiden past midnight! More images from the day, click here! Most of us arrived to the Netherlands and Leiden before noon today. 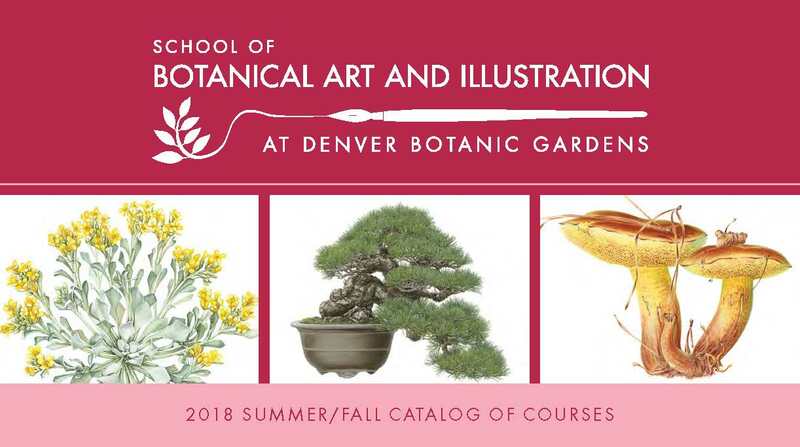 This year our group has 12 participants (from Colorado, California and New York), many of them familiar from earlier tours and some completely new. 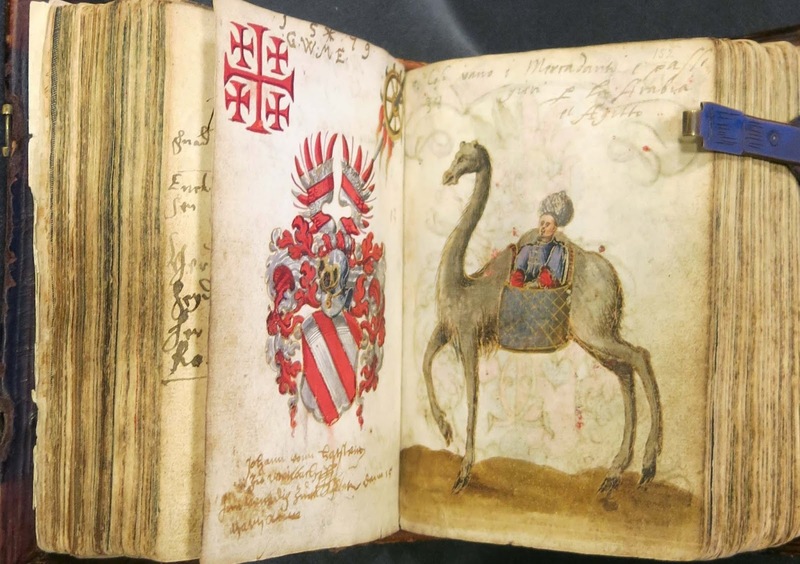 Leiden university was established in 1575, and has been since the focal point for scientific and cultural exploration: Rembrandt, Von Siebold, Einstein are among those who were connected to this town. 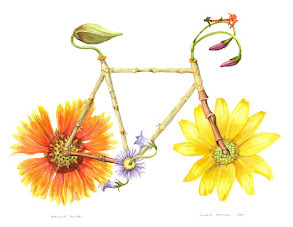 Our first destination was Hortus Botanicus established in 1590. 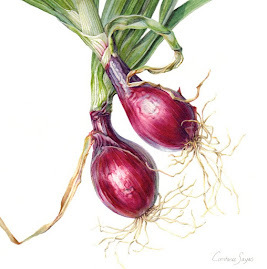 Its first director was Carolus Clusius (1526-1609), the person who introduced the tulip to the Netherlands. Carolus Clusius had a horticulturist Clutius, who in 1599 published the first book about bees and beekeeping. 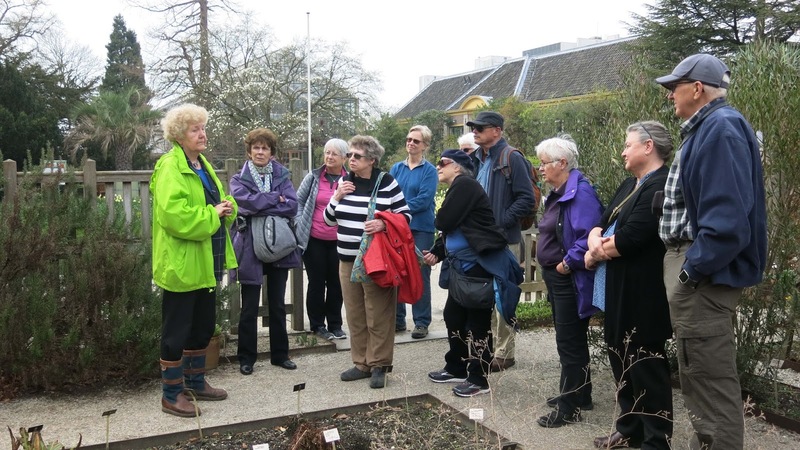 We had a very informative tour led by Karla who has been working in Hortus Botanicus since the early 1970’s – perfect introduction to our two weeks of exploration! 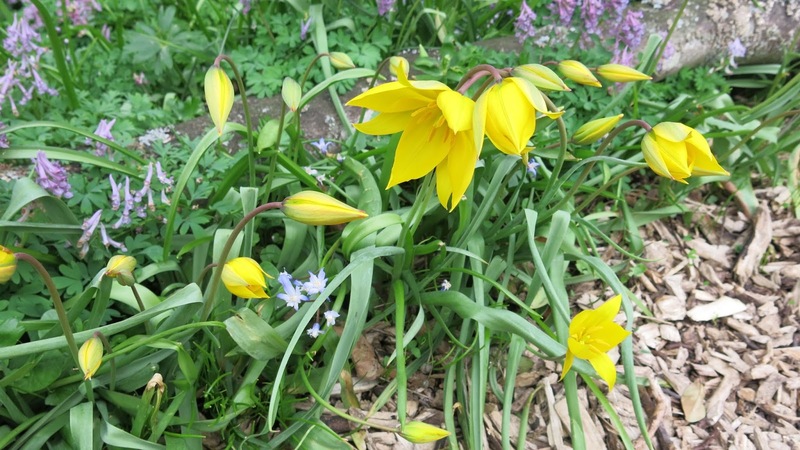 Tulipa sylvestris, one of the few tulips that are native in Europe. We have had the pleasure to host Dr. Sarah Simblet (from Oxford, U.K.) once again at our School. We had two 3-day intense workshops, the students enjoyed the strong enriching experience and Sarah’s refreshing, amazing talent. 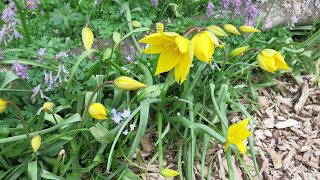 Her visit culminated last night in an excellent Café Botanique lecture. 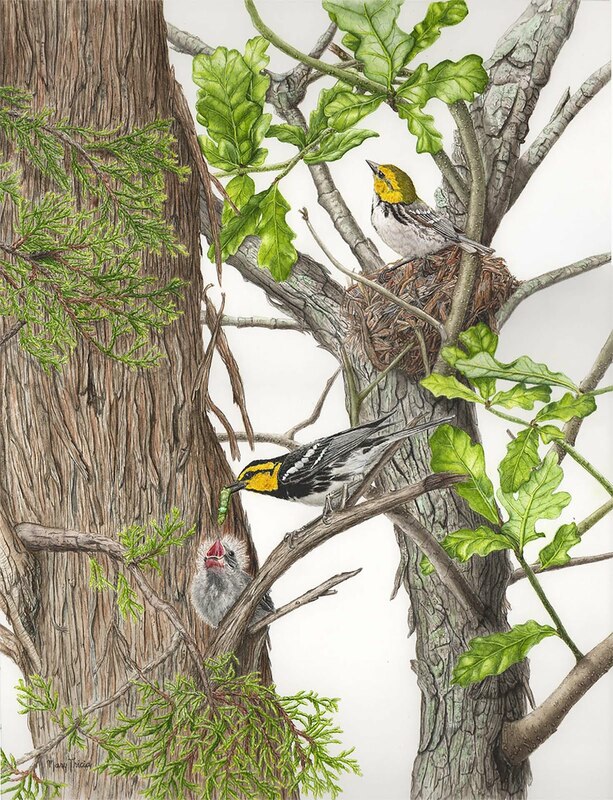 Sarah Simblet is dedicated to sharing, and she encourages visual intelligence in others through her instruction and drawings. Now we are eagerly waiting for the next opportunity to do some quill work, perhaps next time it will be birds with Sarah!